You are here: Home / Tech Tips for the Twin Cities / IT Lifecycle Management / Small Business Dilemma: Should I Upgrade to Windows 10 From Windows 7? I completely understand why you might still be running Windows 7 for your business. It’s been a solid product for many years, and it’s actually still used more than Windows 10. But I’ve been urging clients who still have Windows 7 to upgrade to Windows 10 before it’s too late. First, I’ll tell you the why behind my recommendation, and then I’ll explain how to make future software and hardware upgrades a smooth and productive process through IT Lifecycle Management. In May 2017, a ransomware attack called “Wannacry” spread around the world within hours, and was especially damaging to European hospital systems. It was targeted at users of Windows XP, which Microsoft had stopped supporting a few years earlier. But hackers probably won’t wait years to go after Windows 7. Why take the risk? You may have heard that Microsoft is going to offer an extended service program for Windows 7 users. That’s true — kinda. Microsoft announced in a September blog post that it would sell a Windows 7 Extended Security Updates service through January 2023. However, this service will be sold only to customers who have “volume licensing” deals on Windows 7 Professional or Enterprise. It will be sold on a per-device basis and the price will increase each year. In other words, as this Forbes article confirms, it’s not for SMBs like us. I’ve led a great many Windows operating system upgrades for small businesses, and I can tell you this: It’s critical to test your existing software and hardware with a new operating system before fully transitioning your business. What if your accounting software, for example, or a critical customer-facing program such as a payment system, won’t work correctly right out of the gate with Windows 10 or Windows 10 Pro? You need to test these things and make adjustments so the migration goes smoothly, without interrupting service to your customers or making it difficult for your employees to accomplish their work. Another potential drag on productivity and customer service is the learning curve for a new operating system. Give yourself enough time for training after the software/hardware testing and adjustment phase. Windows 7 is nine years old now, so even if you’re on the second round of PCs running that operating system, those machines are probably three to five years old. To take full advantage of upgrading to Windows 10, it’s probably time to swap those older units out. If you and your employees have noticed older PCs getting slower, buggier, and more expensive to maintain, you won’t be surprised by the results of a 2018 survey from Techaisle, a global SMB IT market research firm. SOURCE: The Microsoft-Intel Make the Shift study, August 2018. I understand it can be difficult to pull the trigger on the expense of new hardware. The best way to avoid a company-wide PC upgrade is IT Lifecycle Management. This is a cost-effective, business-savvy IT strategy that encompasses hardware and software. When TechGen begins working with a new client, this is one of the first things we do. A thorough inventory includes software version numbers, extended service agreements, and hardware serial numbers and warranties, among other details that help us track these items. Set a goal to replace hardware at regular intervals. I recommend to replace PCs every three to five years for most SMBs. Most business-grade hardware has a three-year warranty, after which your maintenance and repair costs could spike. Some TechGen clients spread out the cost of replacing machines by leasing them on a three-year cycle, so the PCs are never out of warranty. You can use a spreadsheet and a calendaring tool, or outsource this process to your IT services provider. You should be notified as machines near their target retirement date. Include periodic reminders to check whether new software versions have been released. When possible, set up retirement dates for only a small group of PCs per year. This makes the next step MUCH easier. You save money on maintenance because you’ll have fewer old, out-of-warranty machines. You’ll have less downtime and faster overall PC performance, which increases your staff’s productivity. Planning for staggered purchases takes smaller annual bites out of your capital budget. By retiring PCs before they completely flame out, you can keep some as emergency backups. It’s best to keep these spares loaded with up-to-date software, so if a key PC goes down unexpectedly, the user can be up and running again quickly. You probably already perform a smaller scale of IT Lifecycle Management with your smartphone. Those of us who rely heavily on this device for our businesses tend to replace them every couple of years or even sooner. 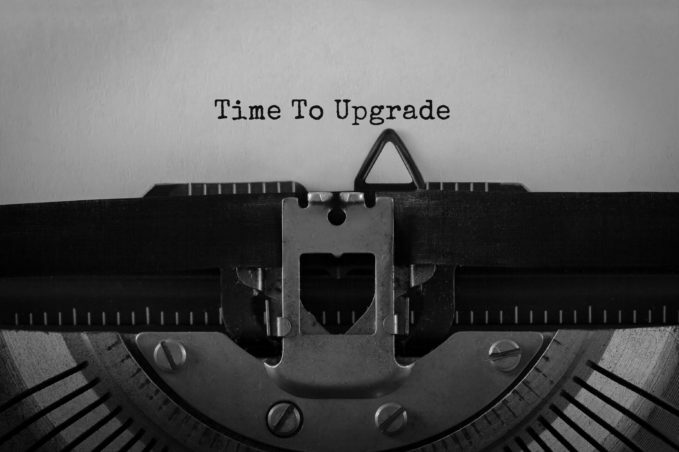 We do it for many of the same reasons that I propose replacing PCs every three to five years: expiring warranties; slower performance as we add improved features and apps; and the latest hardware’s improved functionality, connectivity and speed. In short, newer phones can make us better at our jobs. IT Lifestyle Management takes this concept to a higher operational level — with a lower stress level — for your whole company.